DC-area photographer Stephen Gosling captured everything beautifully, as the couple did a “first look” at the DC War Memorial and photos at the Lincoln Memorial before coming to the Jefferson Memorial with their families for the ceremony itself. 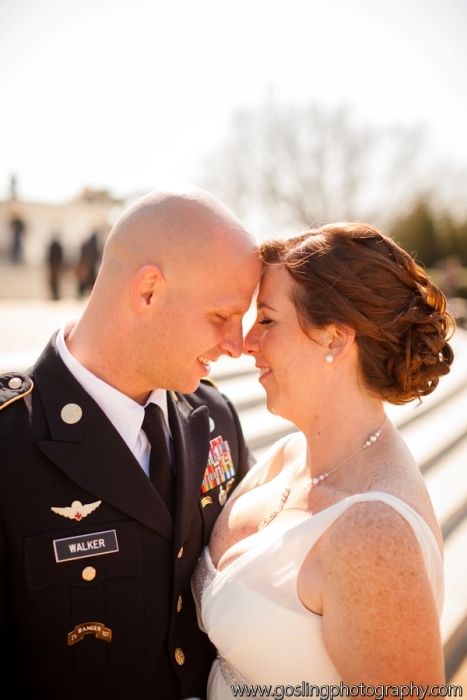 Many couples think it’s too difficult to plan an elopement ceremony in Washington DC, especially if they don’t live in the area, but with the right vendor team it can be simple and easy. For more information on our elopement ceremony officiant services, please see our services page.